Murals are generally thought of as beautifying a public or private space, but I’m here to tell you that they can do more. I feel so strongly that this ancient art form take on larger roles in today’s society. 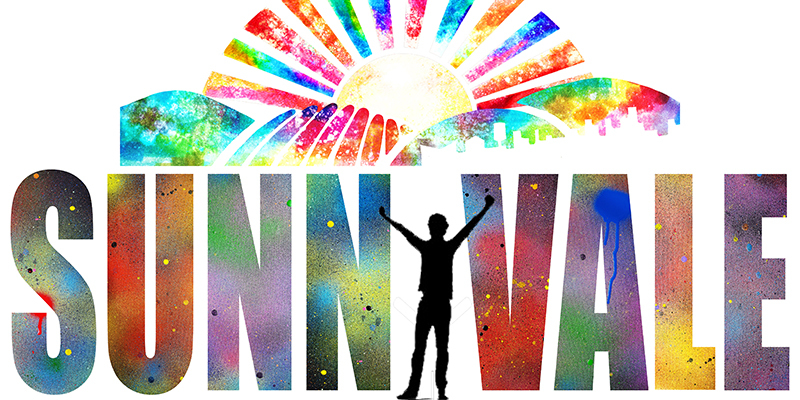 Lately, people have been asking me for this “more” in a mural in terms of engagement. To me, public art’s engagement is the provocation of thought, emotion or interaction. 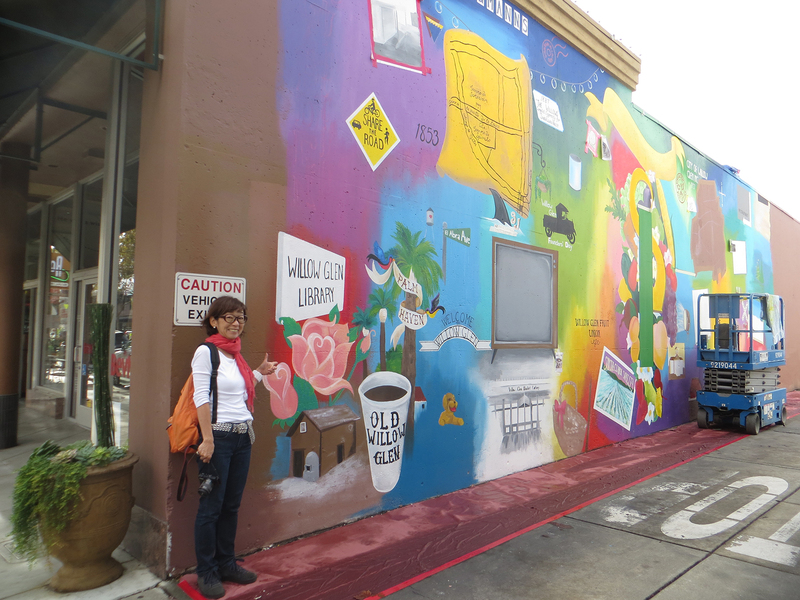 What I’ve done to maximize public’s engagement is create interactive murals. 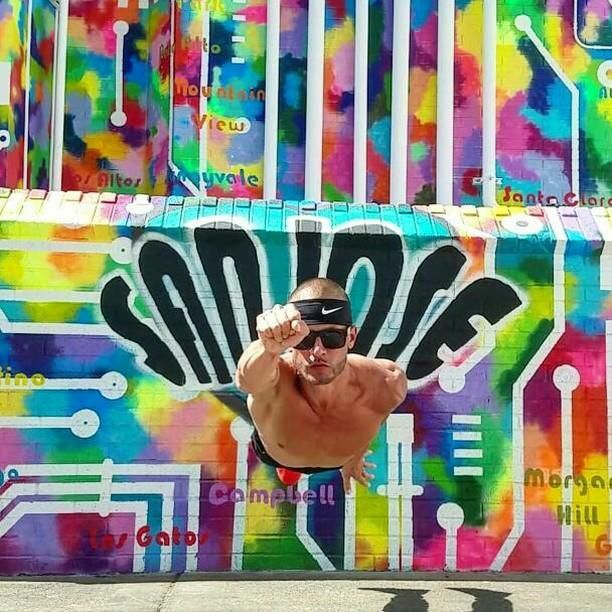 You have seen these interactive public art murals already even if you don’t realize it. Unsuccessful interactive murals don’t get photographed daily and don’t trend on social media however. In this way, I’m a bit of an expert on the interactive mural and how to coordinate them online. Interactive murals aren’t unique to just myself and the idea came to me over time. It was not a magic lightbulb that clicked on one day. This recent trend in projects is super apparent to me. 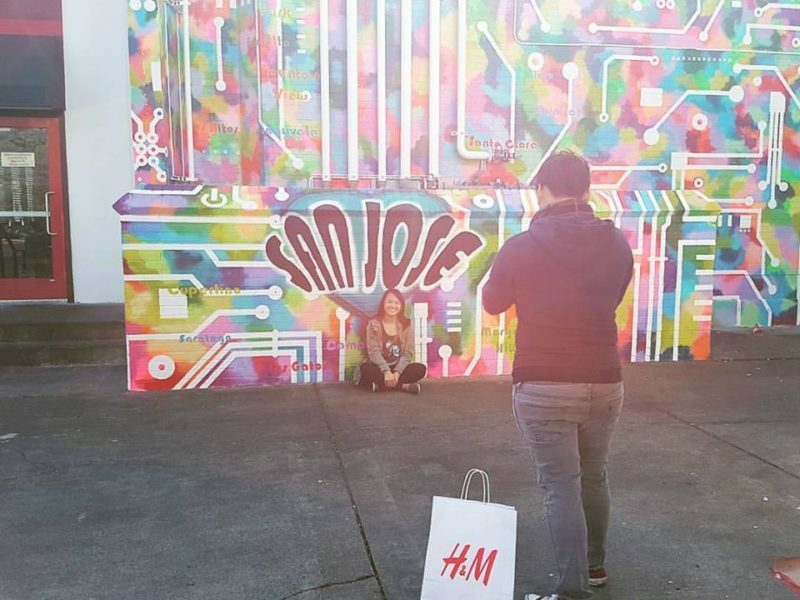 An interactive mural is a mural that you complete or photo opt mural. Think about the playful wings for a simple example. 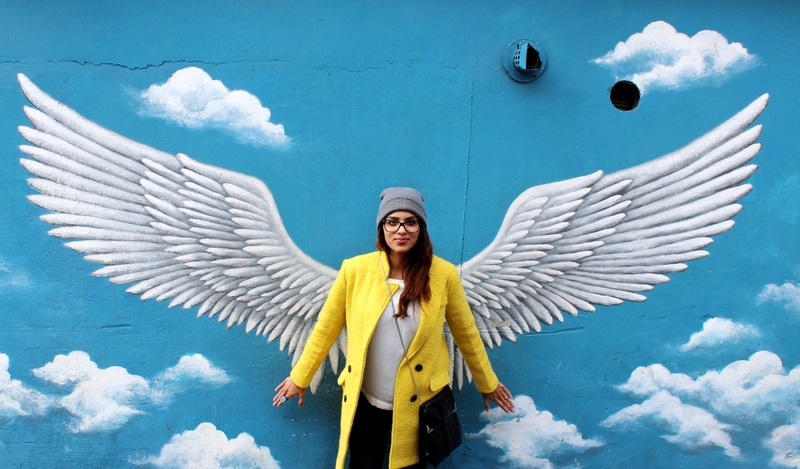 These are not my wings, above left; I’ve never painted wings. I decided over time to do more with this interactive art concept. In this blog entry, I’ll tell you exactly where these interactive inspirations come from within my artwork. The first time I personally conceived the notion of an interactive engagement was in 2013, over 5 years ago now. 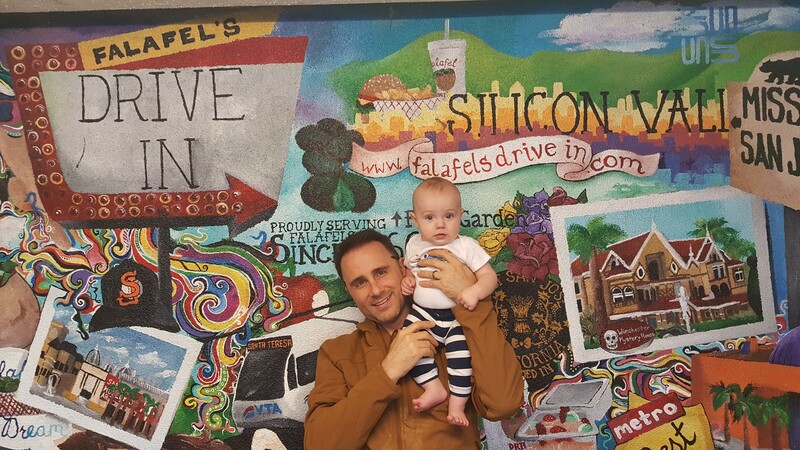 At the famed San Jose eatery, the Falafel’s Drive In, it occurred to me that this would be a great place to create playful photo opts. The topic is San Jose and this is a corky restaurant caught between the past and present, having opened in 1966 and being a local tech favorite. The audience there is so playful and colorful. People were fanatic about Falafel’s. However, unless you are actively pushing people towards taking these photos, it’s hard to start that trend. When I painted the Falafel’s Drive In, Instagram wasn’t the explosive social media presence it is today. It was an infant, an idea. In fact, this 2013 project was the first mural I created or even saw with tech overtones like hashtags, websites or url addresses. If you’re going to all the effort of actively engaging with the audience in an interactive element, you ought to place them somewhere impactful and in public. In 2015, I again had a little fun with a mural project in a public school, but I wouldn’t call this a success attempt at an “interactive” mural. 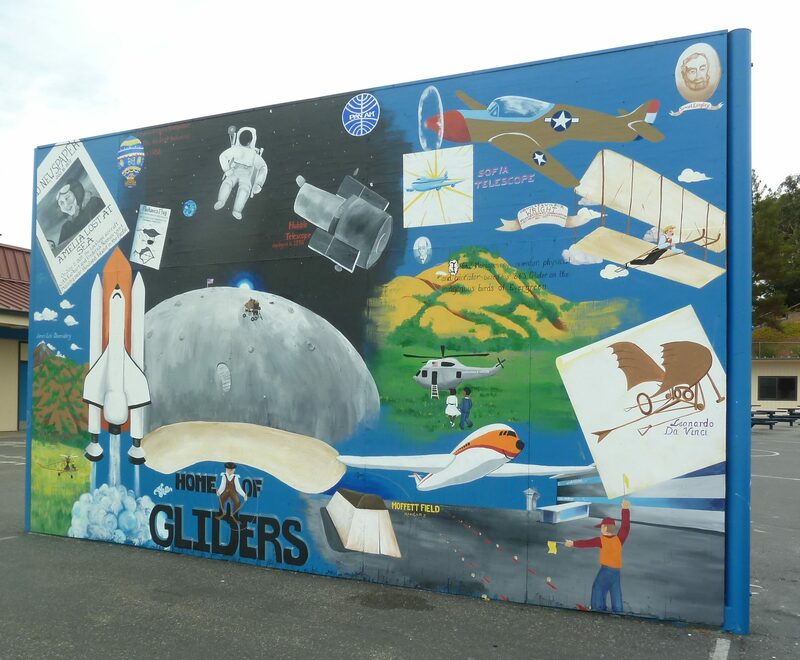 At Montgomery Elementary School in Evergreen, San Jose, I painted a 25 ft x 20 ft ball wall with the “History of Flight” – in honor of the school’s namesake. This included everything from DiVinci sketches, hot air balloons, the Wrights Brothers, Amelia Earhart, WWII planes, commercial airliners, helicopter, the new Sophia technology and space travel. 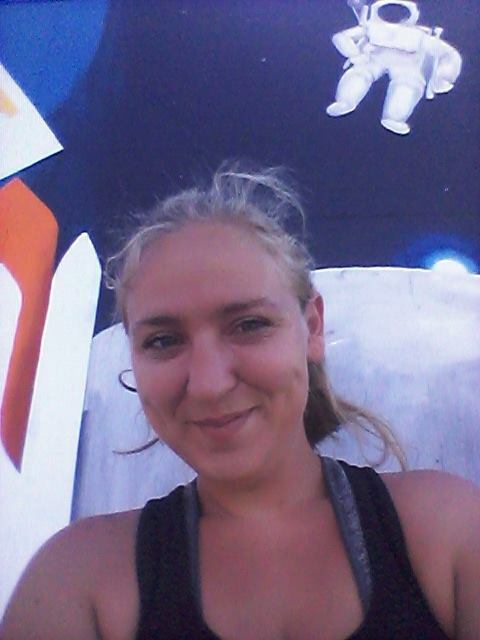 I painted a giant moon that one can take selfies in front of. Maybe I took this research part too seriously and took this opportunity to have a splash of fun. The absurdity in making this interactive is that elementary school students don’t carry cellphones. Teachers could partake in the engagement if they knew about it. I made sure to tell a couple and trust that word got around. The very active community utilizing the playgrounds, soccer and baseball fields and basketball courts would have the opportunity if they noticed it. I went to the effort of creating this lunar landing for little outcome. Smaller murals are some times more effectively interactive than great big ones because they’re so welcoming. 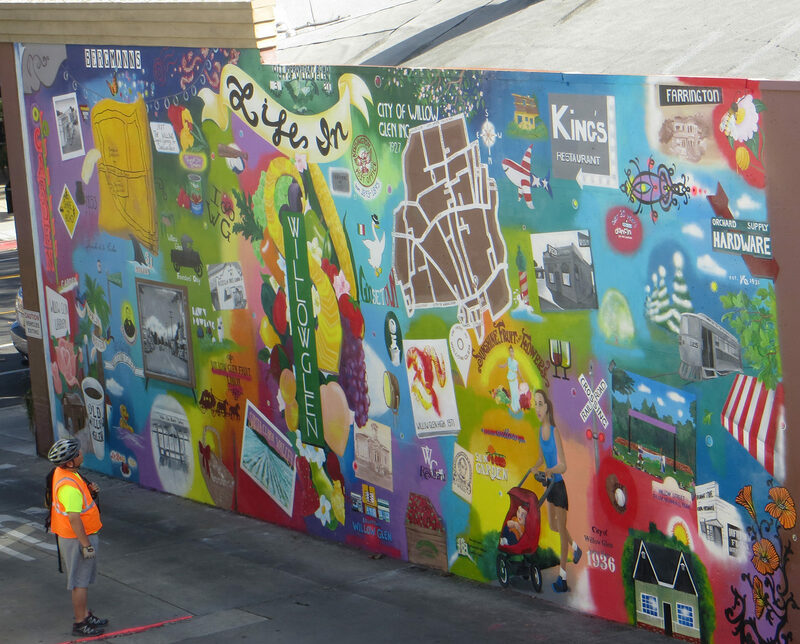 This piece painted in July 2016 at the Peet’s Coffee on the Alameda in the Rose Garden area is a great example of a simple interactive mural project. 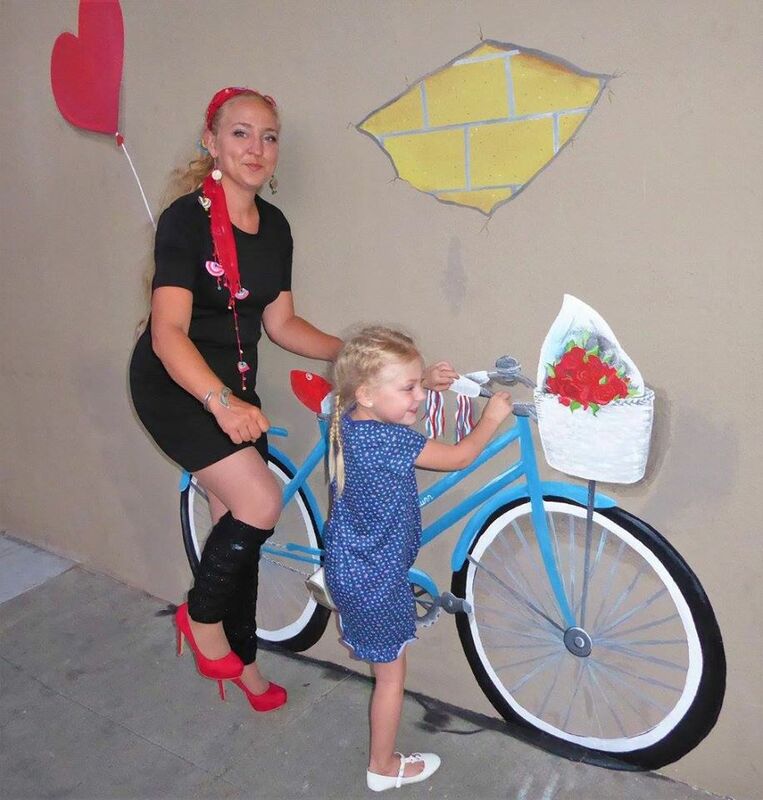 This multi-artist series coordinated through the Exhibition District and the Alameda Business Association, this small bike mural made my niece try to grab at it. I’ve seen cutest Instagram photos of kids and adult alike riding my bike. My favorite thing has got to be the community member with this light blue beach cruiser parking it at the bike rack 10 feet away from the painting, making it the most 3D illusion possible. It’s a “double vision” affect. These smaller interactive elements paved the way and opened up how I thought about and designed my murals. Last November 2016, I was invited to add to Downtown Willow Glen’s prestigious public art portfolio in San Jose, California. This was my first true “public art” opportunity. Commissioned by Councilman Peirluigi and the Willow Glen Business Association with property owner Michael Mulcahy, this historical and cultural retrospective is also a whimsical send up to Willow Glen’s agricultural heritage, Victorian highpoints, brimming commercial district and warm community spirit. 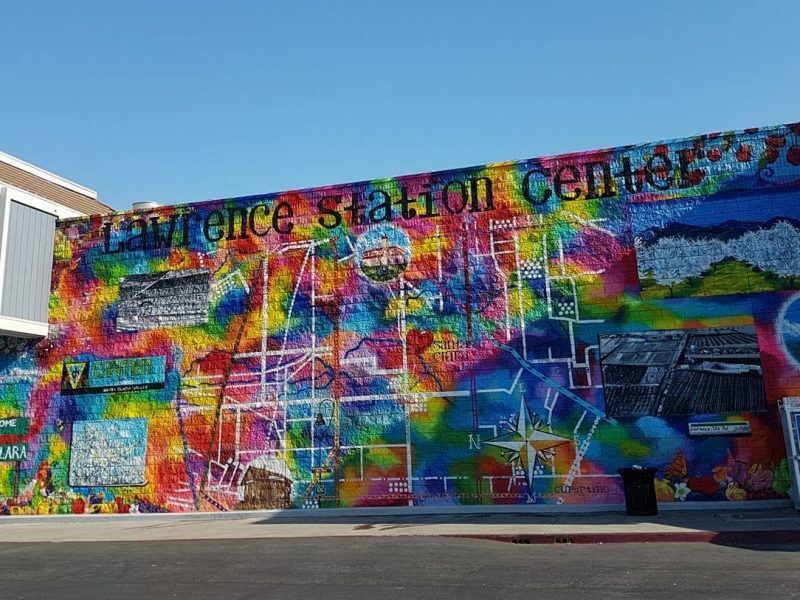 This public art mural, located at 1133 Lincoln Avenue, San Jose, had large scale historical features throughout. 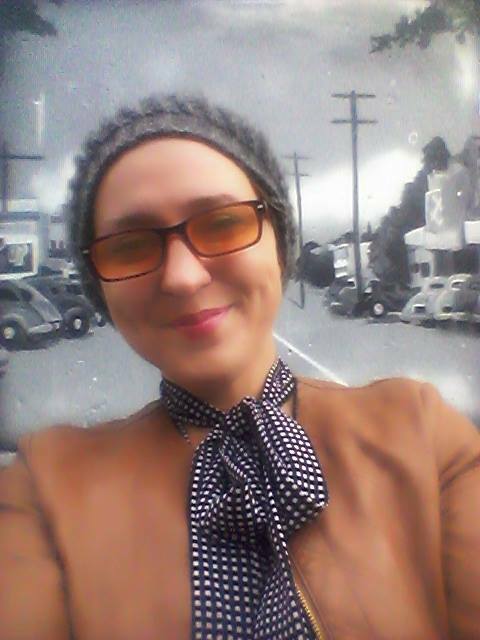 This intentional selfie in white and black Willow Glen to the left and right was a way of soliciting the engagement I seek out. Aft I pointed it out to passersby, people quickly caught on and took pictures in the past. Success! I still wasn’t anticipating what was yet to come out there on Lincoln Avenue. Generally speaking, I love to get photographed while I’m painting on-site. I’m a ham, but I am trying to provoke people into thought like the gentleman to the left, emotion or interaction. That the engagement I try to program into each project. 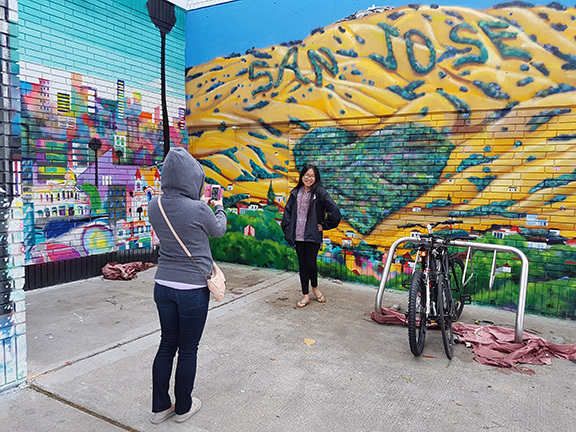 Whether it be journalists, tourists or residents taking pictures, photography is a great indicator of the community’s reaction before you’re completed. My ego doesn’t necessarily require this adoration, but it sure does purr when it happens. When the public audience shows up to show support, takes photos or just takes a moment to let the project wash over them for the first time, it is a sign to me that the Community is buying in to the project. Sometimes you know you’re painting well when others stop to take pictures while you’re still in progress. About mid way through this Lincoln Avenue project though, on an fairly ordinary Friday afternoon, it all happened. That’s when it all came together in front of my eyes, so I picked up my cellphone and started documenting what was taking place. If there was a lightbulb, it clicked here. Shrilly screams echoed into the driveway and heels came clicking after. 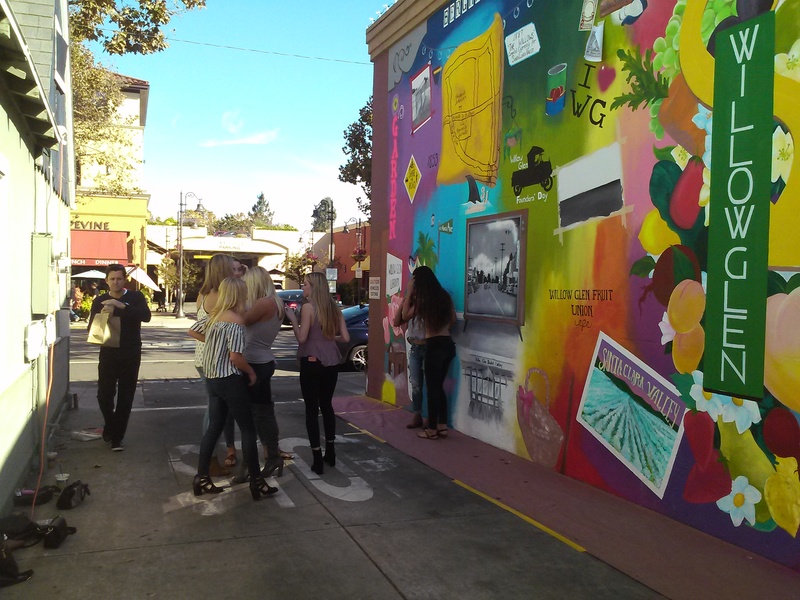 This gaggle of giggling, college girls went gaga for the colorful mural. The designer handbags were dropped to the side and girls started putting on their duck faces and taking turns taking pictures. Just as this obscene display of emotional began pouring out, the property owner passed by as well. I just beamed with pride. This proved a concept I hadn’t even considered for this artwork. Of course I was trying to tell Willow Glen’s story. I hadn’t ever considered the history of an area to be so beautiful it could provoke selfies. To my surprise, that’s exactly what happened. Whenever you can create a sense of place and add is this interactive feature, you can proceed to creative placemaking. You’ve essentially turned a nothing, non-engaging wall into a destination. If I had caught this Willow Glen project early when it began taking off for photos with the matching hashtag, I could have done more with the social media profile for this project. It’s still gotten a hundred photos by others on facebook and Instagram, receiving several thousand likes combined. People engage with this work in the ways I never imagined or intended. It’s really exciting as the artist to see the audience engage their creativity. East San Jose’s Eastridge Mall and Pacific Retail took a huge gamble on me as a commercial artist. I had little to no Instagram presence to speak of. I didn’t have a well rounded public art portfolio like the other cast of artists. I was selected as their local flavor. I initially tried to sell Eastridge Mall into my strength in local research and inspired design with something historical. The LA based owners group wasn’t super into that idea, however. Looking back on it, that would’ve been so boring. Located at 2200 Eastridge Loop, San Jose, California, I instead had to improvise a wildly appealing mural solution on a scale I had never conceived of before. For the first time, I specifically sold interactive murals, or photo walls as we called them then. We didn’t have all the awesome buzzwords then. Painted in April 2017, these interactive murals engaged the audience and dared mall goers to pose in the hall of color I painted. Mostly spraypaints, this series of Eastridge murals tell the story of San Jose with some broader strokes than I’m used to. 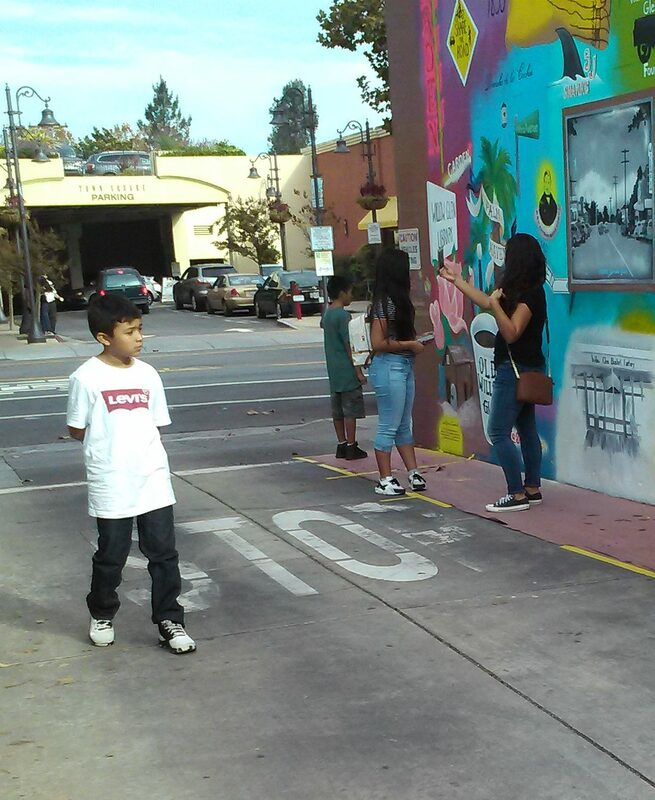 As I finished murals, the public came in after and began its photography. As I painted, getting the hashtags started wasn’t a problem. People wanted to chat. Pacific Retail ended up being a partner who welcomed and continues this social media coordination in the context of the artwork. Complete with unique hashtags, social media handles, informational plaques and instructional floor vinyls, these Eastridge Mall murals are directly aimed at your interaction and engagement. Their success can be found in the fun people have hashtagging their photos and videos on social media. The Superman to the right by @veganninjawarrior is still one of my favorites, but the volume of these pictures is incredible. #HeartofSiliconValley to the above left and right here is the most successful interactive project I’ve completed to date. 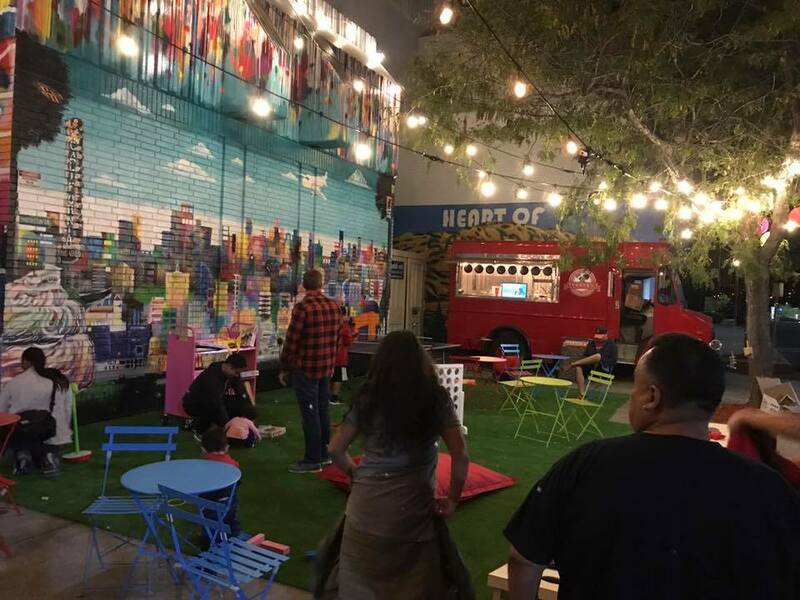 This series’ reception by the Community is unparalleled because it is decisively interactive and clearly created with San Jose, specifically East San Jose and Evergreen, in mind. Things that effectively create a sense of place and provoke photos are the most engaging in my opinion. Interactive pieces have suddenly become really hot. I’m into it, too. I’ve been waiting to see Art and Tech better coordinated and this is an easy starting place. 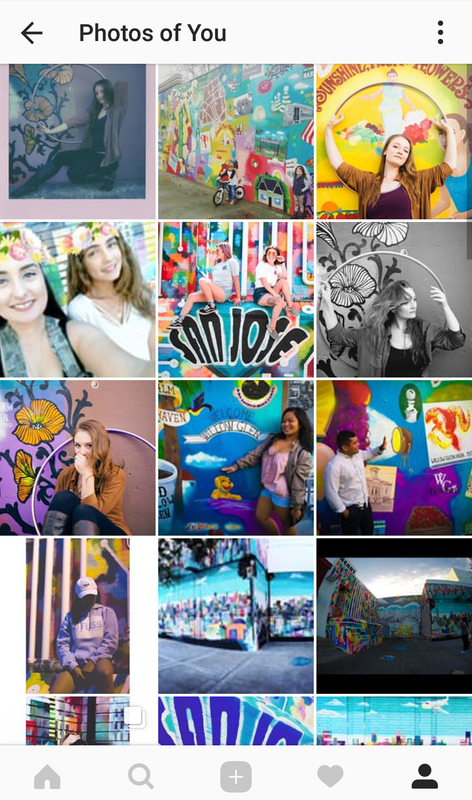 Engagement is my goal and these murals specifically provoke it. I never thought about graphic designing interactivity until asked. Recently, I’ve been asked about temporary interactive art pieces. 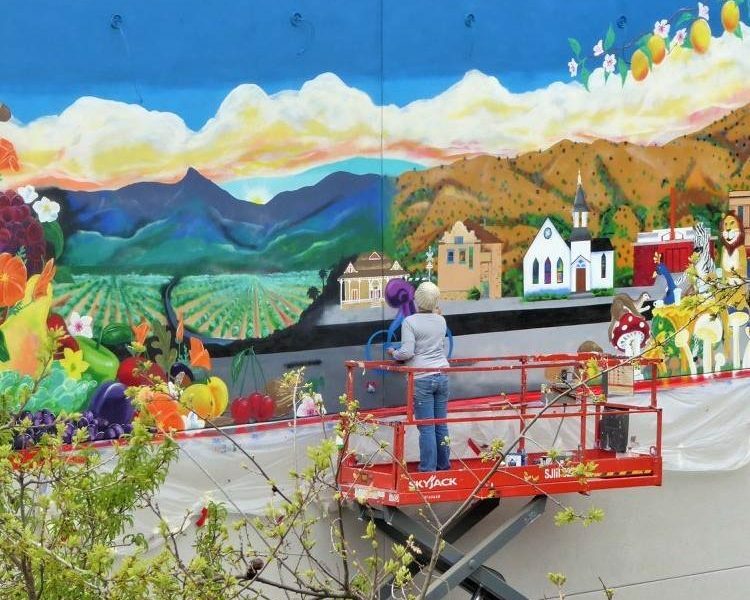 Leadership Sunnyvale commissioned two interactive art pieces from me for the side of Macy’s on E. Washington Avenue near Murphy Street until its ultimately redeveloped. Lucky for Leadership Sunnyvale, I have a little experience in this area. The balloon design to the right, #goingup, was created for maximum engagement and the other shown below here, #sunnnyvale, creates a little sense of place. Both are creative placemaking strategies in principle. Both of these mural banners are totally interactive and engaging. They will be unveiled at Macy’s tentatively in late April. I’m pleased to announce that I’ll also be producing another couple interactive projects at Eastridge Mall. I’m thrilled to continue to build this partnership of art, business and community. Eastridge Mall, throughout its redevelopment, has been using Art as a catalyst for social engagement. I’m proud to work with a large property owner who wants to make a positive impact in the Community they do business in. Eastridge Mall and I will be reproducing in vinyl the #goingup artwork and continuing its #eastridgearts #eastridgemurals campaign. 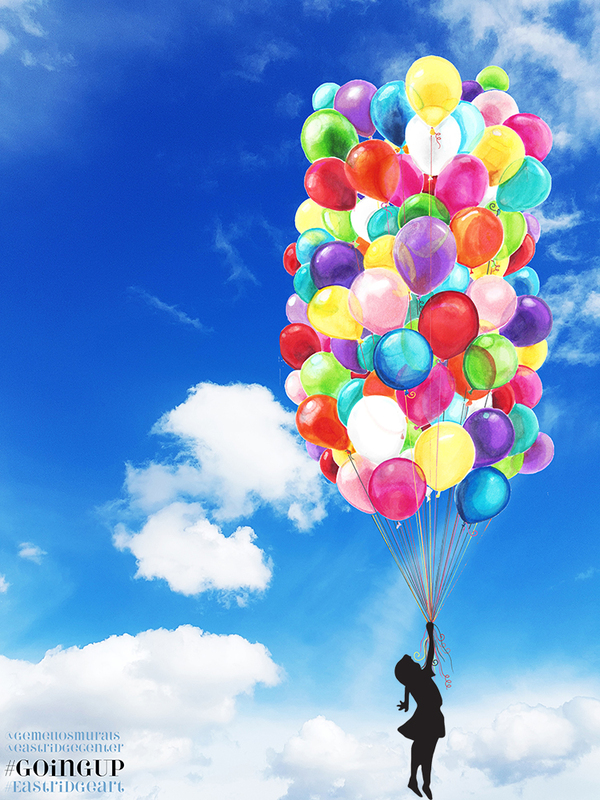 The balloons will be activating the indoor, children’s play space in the center of the retail center. I’m hopeful this will be installed in time for the mall’s reopening. 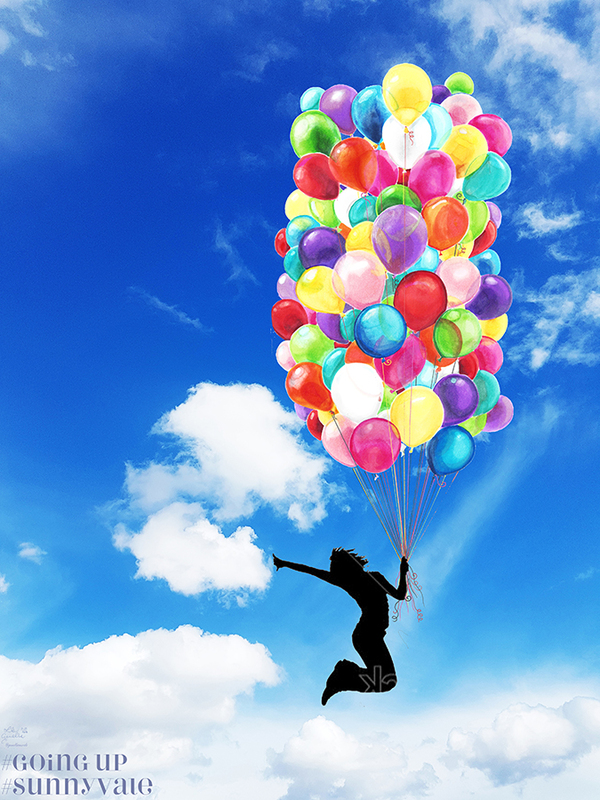 The balloons are so nice, we’ve used the design twice. By a playground is probably the most appropriate home for this, too. It’s “play” art. I’ll be executing another project at the mall next week as well, across from the Mail Center and lower level escalators. This is a gateway to their Community Center. The next job at Eastridge will be participatory for the audience as well as pose for pictures with after. At Eastridge’s Reopening Ceremonies, we’ll be having a two day event the evening of April 7th and 8th. The citizens of San Jose will be invited to help execute. 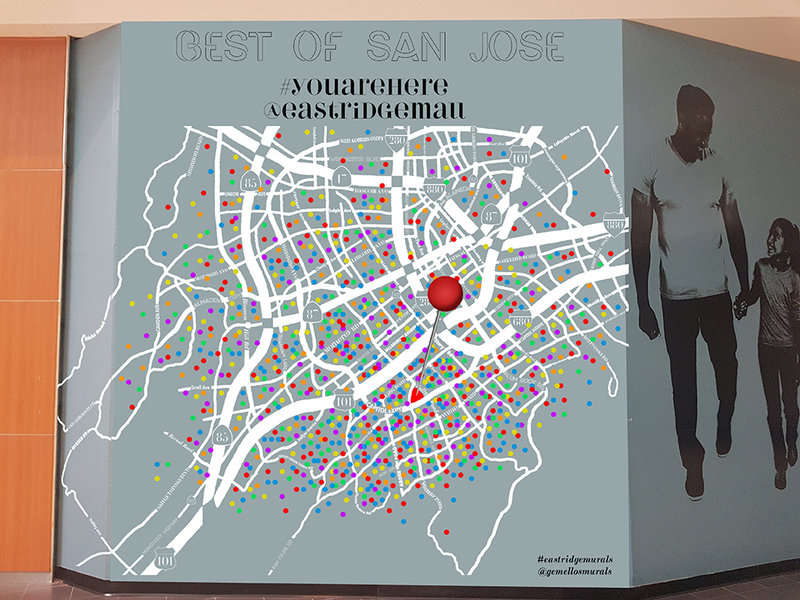 We’ll be using dots to represent your homes and the people of San Jose on this oversized map of the city. The following week at their Wednesday Art Night, I’ll be putting the finishing touches on this interactive piece. 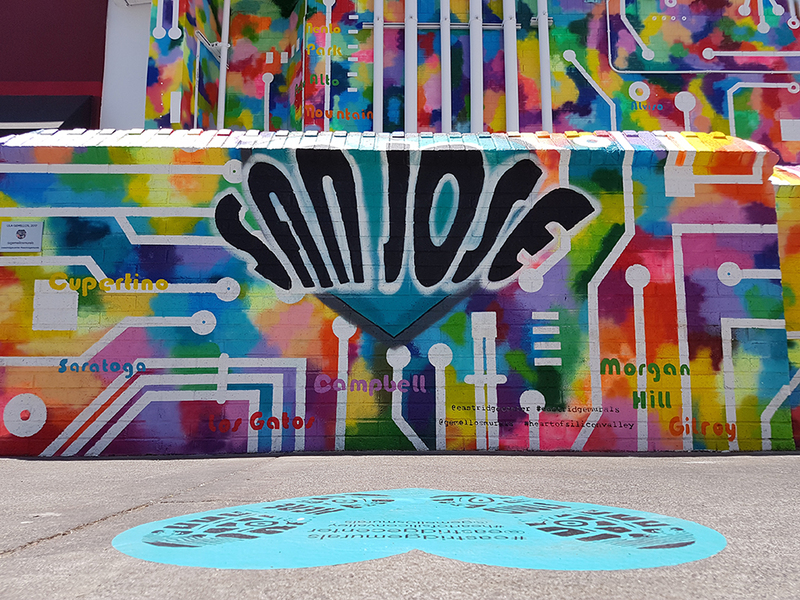 You’ll be able to pose under this giant pin and share your San Jose pride. Love your stuff!!! 🙂 You are an INCREDIBLE artist! Your interactive art is inspiring!